Quite often it can make or break a blog's views as without good SEO your little blog will go unseen in the vast sea of the internet. Luckily for you, newbie blogger, your SEO can be improved in a matter of minutes with these four simple hacks. It seems obvious, but changing your post's URL is something which often goes forgotten. It's so important to edit this little bit of blog code, especially if you have a long post title. Good tips for a post URL are to include key words (for this post I chose 'blogging', 'seo' and 'hacks') keeping it all in lowercase letters, and using a hyphen instead of spaces to increase visibility in search engines. It may have other valuable SEO uses, but to me the search description is all about optimising your posts to be shared on social media. When you share a post to Facebook, the information pulled through in the post 'preview' is whatever you write in your search description, so it's important to make it as reader-friendly as possible. Your search description is an opportunity to create a short and punchy selling point for your post, so spend time writing and -re-writing it until you think it is perfect. It should encourage and intrigue people enough to click on your blog in a single sentence, without giving too much of the post's content away. It's really simple to link your blog posts as long as you keep the links relevant. For example, if you've just started your blog and are looking for some more help and information, why not check out my post on 6 Tips For Beautiful Blog Photos? You can also link your posts by using a 'related posts' widget on your blog. These are created using the labels feature in blogger, which brings me to the next blogging SEO hack. I cannot stress enough just how important labels are, not just for SEO purposes, but also for keeping your blog organised into categories for different types of posts. When it comes to labelling your posts, it's best to keep to three or four 'main' labels (I use 'Beauty', 'Lifestyle' and 'Blogging' for mine) and then secondary labels which further describe the content of your posts. I normally use brand names for these, so I can make sure my LUSH, Benefit and Too Faced posts all link to each other in my related posts. By labelling your posts right from the start, it makes it incredibly easy for you to create a header of categories at the top of your blog's homepage. Leave your blog link in a comment below to direct traffic from my blog back to yours! Thanks so much for these tips Alice, I had no idea what a search description was haha! Such great tips, I'm guilty of missing out a few of these steps, I need to take your advice! 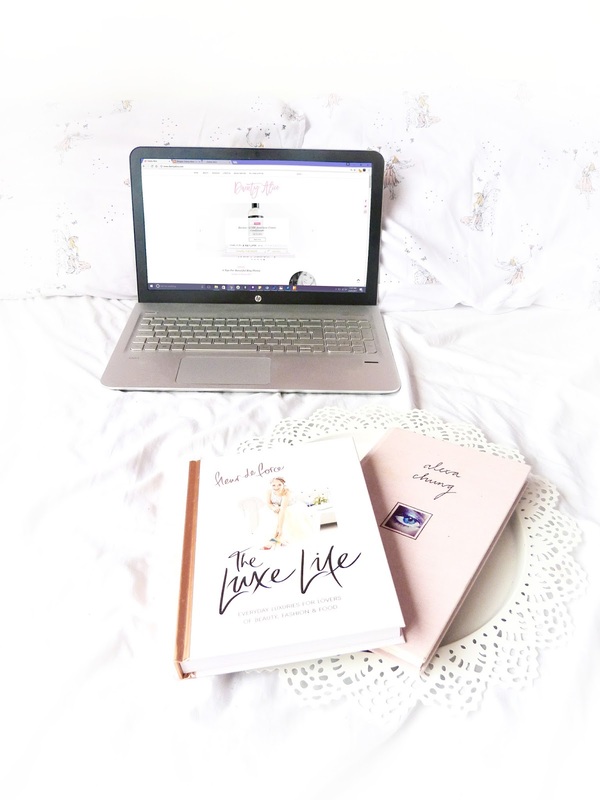 I've been blogging for absolutely years and never realised how important these things were! Have just updated my search description, so thanks! Such a useful wee post! I've been linking back to my own posts in recent ones but I've only recently been able to change search descriptions since migrating my blog. It seems like such an easy thing to overlook or forget about but it's so important! :) I look forward to more posts like this! I'm over at adalovelacex.co.uk :) hope to see you soon! I needed help with SEO so thanks a lot for the post lovely! great tips indeed! I should never forget about the base! Really good little post and simple tips that people often forget about! This is an awesome little list!! I just went self hosted so needed to read up about some basic SEO tips, I love how easy to read this was and how well explained each point is! Great tips! I've just started using labels on mine and it's so much easier to keep track of. I couldn't have come across this post at a better time. I recently was trying to figure out how seo works and what to do with it so thank you ! What the client sees and what the web index sees ought to be precisely the same. Try not to shroud anything. Search engine description and hyper linking go side by side. Traffic on web sites not only generate leads but competitive spirit towards the sites is encouraged. Relevant content and categorized fame under seo consulting hired by my cousin is impressive. Their work is timely and charges are genuine. Even the tools they apply are superb.